iSophie: The Birthday that just keeps on giving. The Birthday that just keeps on giving. Voltorb had his actual birthday on the 30th of May. That was the day before we flew out to Broken Hill for the Holidays. After the Pirate Party, we kept the actual day low key. Just presents (at 5.45am! ), a dozen helium balloons and 2 dozen Pokeball cupcakes to share with his class. No really, I didn't get him the balloons, i'm not taking credit for that, in fact the little boys and I were just in the right place at the right time to get those. The day before, we were at Harvey Norman, searching for iTunes cards on special. I needed to add to the movie selection on the "i" devices before the flights. At the register there was a lady squirting a creamy like substance into empty balloons. I was curious. She said it was to coat the inside of the balloon so the helium doesn't leak out of the latex. They were replacing all of the old balloons with a new bright orange theme. Having 2 wee ones with me, of course they offered us some of the old ones. Well it ended up being more then some, which resulted in quite a circus getting them to, and then in, the car. It was a blustery day, naturally, and I had Pichu in the pram. Somehow I managed to maneuver us across the car-park with balloons slapping me in the face. 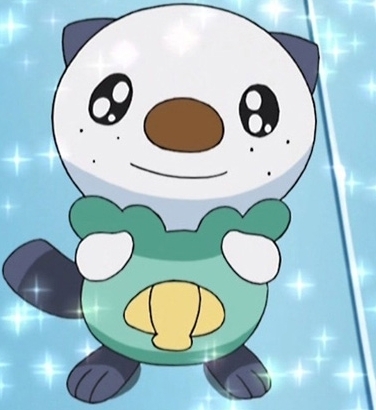 Oshawott thought this was hilarious. I sent Coder a message with one of these pics. Wise as he is, he made a prediction, there was to be much screaming at home later. Wise, wise words. Really! nothing unusual... see? Pichu is having a tanty. Just wanted a balloon Mum. Pichu was frustrated (read: screeching) because he couldn't reach the string once he'd let go of it. Which, in turn, meant I had to follow him around retrieving it for him. Not such a fun game for Mummy on a school night at dinner time. I fixed it by tying 2 extra lengths onto it. The birthday boy first thing in the morning. It was just the two of us awake so I let him open just one present to tide him over until a more respectable hour. Don't you just love the bed hair? The Pokeball cupcakes that went to school. This is what they looked like in the kitchen, and i'm glad I took a photo then because there was a bit of an accident trying to get them to the car. I was holding 2 trays balancing one on top of the other, had my bag over my shoulder and holding Pichu's hand so he wouldn't fall on the rocky path. Well he stumbled didn't he! I had to extend my arm down to stop him from falling, in the process, having the opposite effect to the other arm, like a scale, it went up. Cupcakes went flying. They fell upside down. Naturally. Luckily they had lids on them and I was able to salvage them with a little icing touch up inside. In Broken Hill, Voltorb was lucky enough to have another Birthday celebration with our family there. Which meant more presents, and more cake! 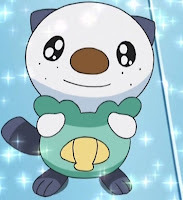 Ever since the Pirate party, Oshawott has been regularly talking about his Birthday, even though it is 3 months after Voltorb's. He tells us he is going to have a jumpy castle (he's not.. sorry Bubbie) and an Oshawott (the Pokemon) cake. Now the cake I can do! One night in Broken Hill he was being a bit of a ratbag at bed time, didn't want to go to sleep you see. Having learnt from the best (Legoman) I can now negotiate very well at bedtime. I told him we would make some cupcakes the next day and decorate them like Oshawott heads as a practice run for his big birthday cake.